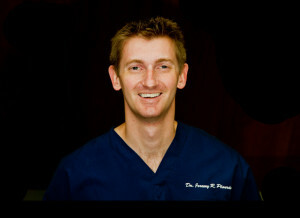 Dr. Jeremy Plourde graduated from Tufts University School of Dental Medicine in 2013. Prior to dental school, Dr. Plourde earned a BS in chemical and biological engineering and an MS in biomedical engineering from Tufts University. Dr. Plourde has a strong background in dental materials and tissue engineering research, which has given him knowledge he uses to treat patients with the highest quality and most current techniques available. As a general dentist, Dr. Plourde is committed to providing comprehensive care in all aspects of dentistry including pediatrics, restorative, fixed and removable prosthetics, endodontics, and routine oral surgery. Dr. Plourde has lived in New England his entire life and practices with a warm and disarming demeanor.